The most important time to avoid medications is during the first 12 weeks of pregnancy. Acetaminophen is generally considered safe for short-term pain relief during pregnancy. Avoid using other NSAIDs (Aleve, Ibuprofen, Motrin), especially during the third trimester of pregnancy. They can cause heart abnormalities in the baby. 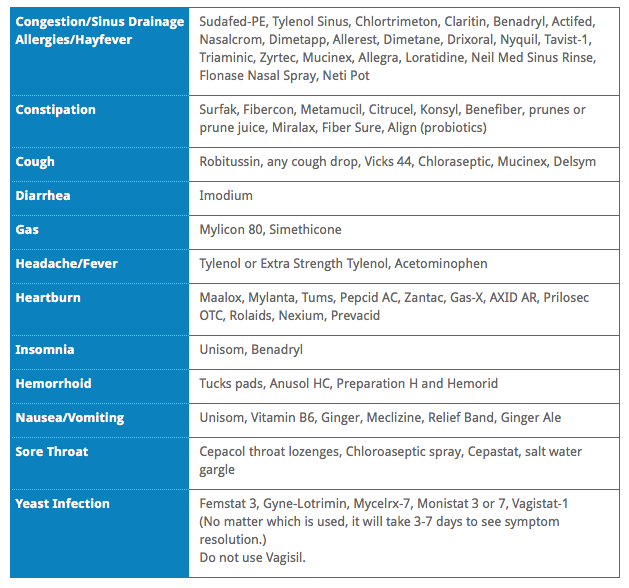 The following list includes medications that are generally felt to be safe during pregnancy. 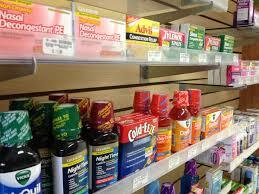 All these can be purchased over-the-counter without a prescription.